Home » News & Views » Things To Do » Can Crowd-funding Change the Direction of Gaming? 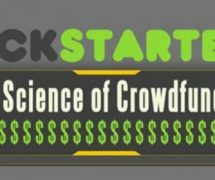 Can Crowd-funding Change the Direction of Gaming? Okay, so I haven’t done much article writing since I’m finishing projects up for my first year, as well as there not being too much to talk about relating to any of my interests personally. However not too long ago something caught my eye that I believe is worth talking about to an audience that may not be aware. Poor worded intro aside, people here should know some things about me. I’m a lover of many things that during my youth, many would make fun of me for. Liking animated media like old school Disney, old fashioned cartoons, comic themed shows, anime, etc. I am also still a massive professional wrestling fan to the point of even taking lessons in training to become an actual pro wrestler someday (I’ll need to do on article on that whole thing at some point too), as well as other interests that brought me labels like ‘geek’, ‘nerd’, and all that dorky, uncool stuff. The biggest one of these interests I had, and still have to this day, is computer/video games. Now, I remember starting off with the good old systems like the Super Nintendo Entertainment System (SNES) and Gameboy, before moving along with the times of the PSOne, Gameboy Colour, to the Playstation 2/Xbox/Gamecube/Game Boy Advance era, then Playstation 3/360/Wii/DS/PSP times, and now to the Playstation 4/Xbox One/Wii U/3DS/PSVita era now, as well as PC games. Along with the advancement of gaming consoles and hardware for PC gaming, we have also seen evolution in the games being produced to the market and what gaming companies believe we, as players, like in our gaming experience. Games these days are much more looked upon from aspects like storytelling, graphics, and even gameplay mechanics. However, it seems that sometimes gaming companies may have lost their ways over the years and these changes to beloved franchises have ended up in tarnishing what was once a great memory to look back at during younger days, or have seized to continue to this point. I won’t point fingers here because that may be unfair to these companies, even if this is true. One could assume that buyers would not stand for these changes, yet more often than not, people will still purchase these games from titles that have lost their values over the years, or even buying games that may not be looked as favourable to a larger majority due to their promotion to the mainstream media, making it an argument that games going mainstream has both improved and hurt the gaming industry as a whole. However, there are still those that hold onto kinder days and wish to bring back products that make the older gamers in us shed a good old nostalgia tear for when we were from a simpler time – introduce crowd-funding! 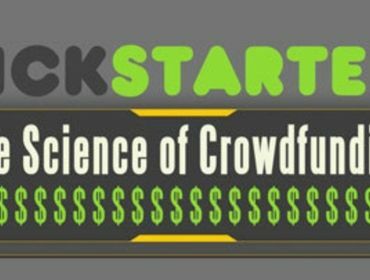 For those who may not be aware, crowd-funding is as the name describes, it involves getting funds, from a crowd. Or to be more precise, say someone has a product that they wish to create but they do not have the necessary budget or interest in having it being created to the specs that you would like it to be, you can create an entry on fundraising websites, such as Kickstarter, IndieGoGo and many others, and ask people to pay towards your project to reach their initial goal of however much they need to fully create their planned product. Sometimes the creators will even throw in rewards for those that donate a certain amount of money toward the project, and they may even add stretch goals that they can apply to the product if they get over certain amounts past the initial price goal. I’m mentioning this with gaming because for a little while now we have seen projects appearing through these websites that have garnered a lot of interest, mainly due to those who create these projects. There have been many games that have done well on websites like Kickstarter that are currently being developed on, even making beta versions of the game copies or will be released later this year. Two games include ‘Mighty No 9’, which is an upcoming action-platforming game created by Keiji Inafune, who is responsible for the creation of a small little gaming series you may have heard of called ‘Mega Man’. The other being ‘A Hat in Time’, another platform game that has taken strong influences from classic 3D platformers from the Nintendo 64 such as ‘Super Mario 64’ and ‘Banjo-Kazooie’. However, within the past few weeks more games taking similar themes of old school platforming have gotten mega press due to their success. ‘Yooka-Laylee’, which is said to be a spiritual successor to such games as ‘Banjo-Kazooie’ and ‘Donkey Kong Country’ (as it is created by the same people who helped create these classics) ended up reaching its main goal of $175,000 in 40 minutes! Not weeks, not days? Minutes! And as of right now as I type this article, they have a good $1,500,000 or so raised to start the game, multiplying their initial start goal nearly ten times the original amount! Is this even possible?! Another game to have gotten this quick of an initial goal reach is ‘Bloodstained: Ritual of the Night‘, which is a game being created by Koji Igarash, who is worldly known for creating games that have a ‘vania-style’ to them as he has created many of the ‘Castlevania’ games. He also has the original composer for many of the same games in Michiru Yamane and also has Inti Creates lead the development of the game, which they have also done for ‘Mighty No 9’. How did they do you ask? They managed to reach their original goal of $500,000, nearly half a million of those USDs, in less than 4 hours! Even as I type this now, they have managed to get over $740,000. Also, keep in mind that both ‘Yokka-Layle’ and ‘Bloodstained’ still have over 30 days before their Kickstarters end, meaning they could very well get a couple of million by the way things are going now! Insane, is this just, insane? Or is it? Maybe by seeing the success of games like ‘Mighty No 9’, ‘A Hat in Time’, ‘Yooka-Laylee‘ and ‘Bloodstained’ we can see something that a large portion of games want. The creators of classics that we have grown up with also see this, and they too wish to go back to a simpler time when it was fun to be a gamer. Now, that’s not to say things aren’t fun without these new games coming out, but we always have those warm, fuzzy feelings when we look back at those games that people would now call ‘retro’ and think “Darn, those were some great games”. These creators wish to give this feeling back not just to the fans of their original works, but also to themselves as well, making them remember that it was fun to be a game developer, composer, and creator of their original creations. This could also be a subtle message to companies that these creators once worked with, saying that, “Hey, what you guys are doing with our original work right now? It’s not what it used to be. But look at this – this is what people want, this is what they have always wanted”. And it shows. So, maybe by seeing the success of crowd-funding games like this, maybe the bigger game companies out there could learn from what’s happening and change their approach to their title games. But then this brings in a scary thought of these gaming developers bringing their own crowd funded projects to people, they would possibly get similar results and quite possibly exploit those that invest into their work. I totally expect this to happen at some point, but hopefully I am wrong in thinking these. Apologies for my rambling, but coming from a gamer since the day I was born, I could not be more proud to see these games doing as well as they are now. I’m backing them up, and so should all of you too.